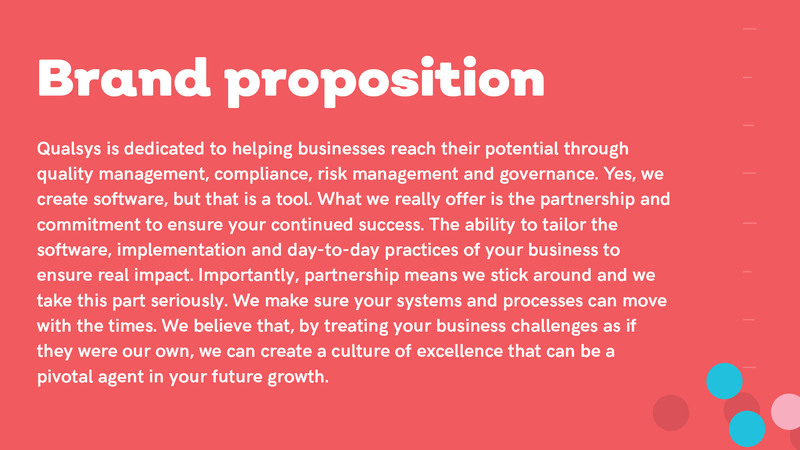 Qualsys is dedicated to helping businesses reach their potential through quality management, compliance, risk management and governance. The company creates software, but that is just the tool. What they really offer is the partnership and commitment to ensure continued success. They have the ability to tailor software, implementation and day-to-day business practices to achieve real commercial impact. 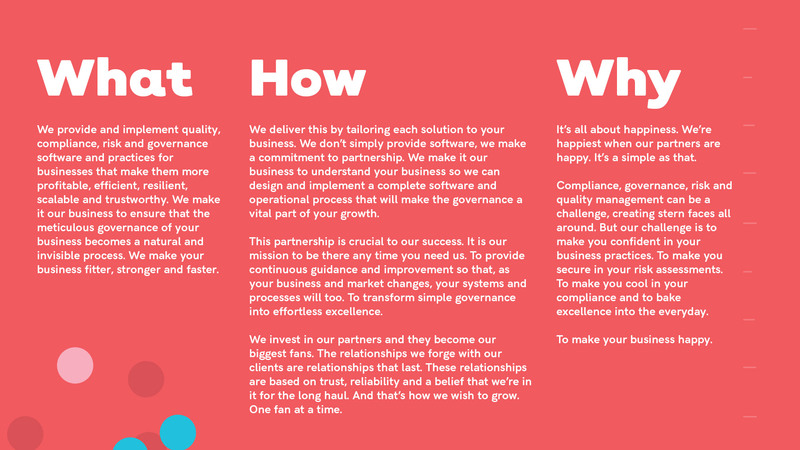 Based in Sheffield, Qualsys is helping hundreds of companies to become more efficient, reduce the cost of compliance and make quality the most important business driver. Their software is used by more than 500,000 people in 120 countries every day. “We’re known for our software product, but we really sell our expertise. Help us claim the equity back from our software tool and place the emphasis on our company brand. 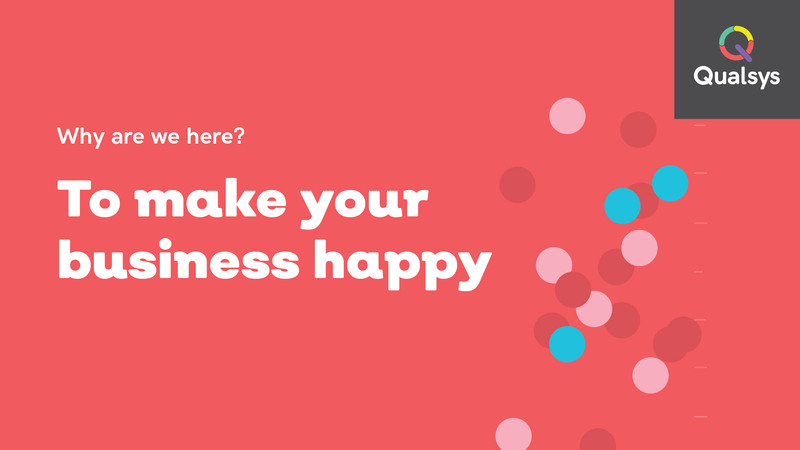 Move us from product to service and help us create an inbound-focused website optimised for speed, search and user experience”. Qualsys felt their brand identity had become eclipsed by their software sub-brand and was starting to lose standout in a highly competitive industry. A reliance on digital advertising was increasingly expensive – Qualsys wanted to develop an inbound marketing approach that could attract and convert new customers. The business was going through a period of growth and change, with new products/services and a revised market positioning that had to be communicated clearly. Our brand development process for Qualsys included internal brand workshops involving stakeholders from across the business, supported by voice of customer interviews and competitor research. 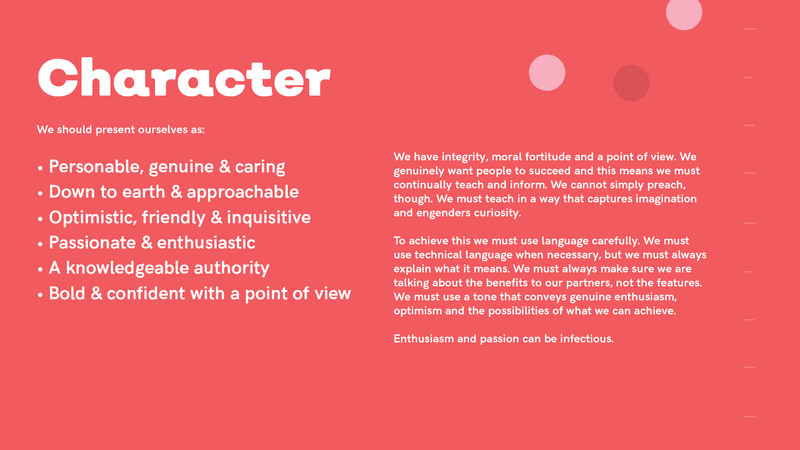 Insights shared by team members and key customers led to the identification of several key themes, which were used to define the Qualsys brand essence, character and personality, and customer proposition. We developed a bold visual identity to embody these brand elements, based on Qualsys’ ability to offer not only interconnected modules within a fully-featured suite of software but, more importantly, the expert services required to tailor, teach and maintain GRC within a range of business sizes and industries. This bright, confident and dynamic brand identity formed the basis of a user experience-focused website, which integrates WordPress with HubSpot pages for an optimised inbound marketing content system. We produced additional brand collateral to support the new Qualsys identity roll-out, including email templates, social media banners, presentation templates and a suite of product and sales tools and brochures. In the first month after go-live, the conversion rate on the site increased by 65% year on year. Qualsys recorded a 76% increase in form submissions during the same period. The website also delivered 93% more contacts year on year in the first month. “I highly recommend Upp’s brand creation process. It was a great way to get everyone in a room and work out why we come into work every day.